The room should be a rectangular shape. This shape makes it easier to determine the type of roof construction. More simple the roof construction, then the roof construction costs can be lower. Rooms with a similar function are arranged close together. For example, a service room such as a kitchen, a washing place, an iron will be more efficient if placed in one area. Rooms that need comfort and tranquility, such as a bedroom, should not be facing west, because at that position will be exposed to sunlight for longer. Rooms that have high humidity, such as bathrooms, washing places, are placed in areas that have good air circulation and sunlight. Plan carefully the spaces that will be developed later. So there is no need to disassemble the wall or change the overall house plan. This concept is known as home development. Try to build a room based on a 3 meter module, this will save you the use of wood and the volume of concrete. Concrete construction has limitations in length. For constructions more than 3 meters, the dimensions of the beam become larger and heavier so that the manufacturing price becomes more expensive. Likewise, wood construction, generally the length of wood in the market is less than 4 meters long, so if the construction length is more than 3 meters, special connection planning, and construction is needed where the costs will increase and a lot of waste wood will appear. The size of the room is adjusted to the size of the ceramic tiles to be used, so that not much ceramic tile material is wasted. For example, if the room is 4 meters wide, while the ceramic tiles used are 30 x 30 cm, then there are 13 rows of ceramic tiles plus 10 cm pieces of ceramic tiles, meaning that there will be 20 cm leftover pieces of ceramic tiles that are wasted. Reducing a portion of the floor plan of the house that juts outward, both in the design of the building facade and the design inside the house. The parts that jut outward will be difficult to cover by the roof, as a result, concrete roofs that are more expensive must be used. Wall. Aside from being a divider between rooms and building structures, walls can be used for storage. If the dimensions of your wall are wide enough, or there are parts of the wall that juts in, you can design it as a storage area. Ceiling. Use the remaining spaces in buildings, for example, in buildings that have high ceilings exposed, use part of the ceiling as a storage area. The use of residual space affects the efficiency of the room. Structural planning for buildings begins with determining the loads that will be supported by building construction, then determining the beam system that controls load distribution and lastly, calculates the structural dimensions. This plan will produce a building structure that is economical in operation but strong and in accordance with the load supported (not over-design). Suitable for construction that supports heavy and more rigid loads. However, in construction with a span of more than 3 meters, the cost of construction will be more expensive, because larger beams and high-quality concrete are needed. Can be applied to long spans with dimensions that are not too large, while the construction characteristics are more flexible. For example, for a span of 6 meters only requires a beam with a height of 30 cm, compared to concrete construction that requires a beam height of 60 cm. It is better to use it to support that is not heavy and for a not large building area. 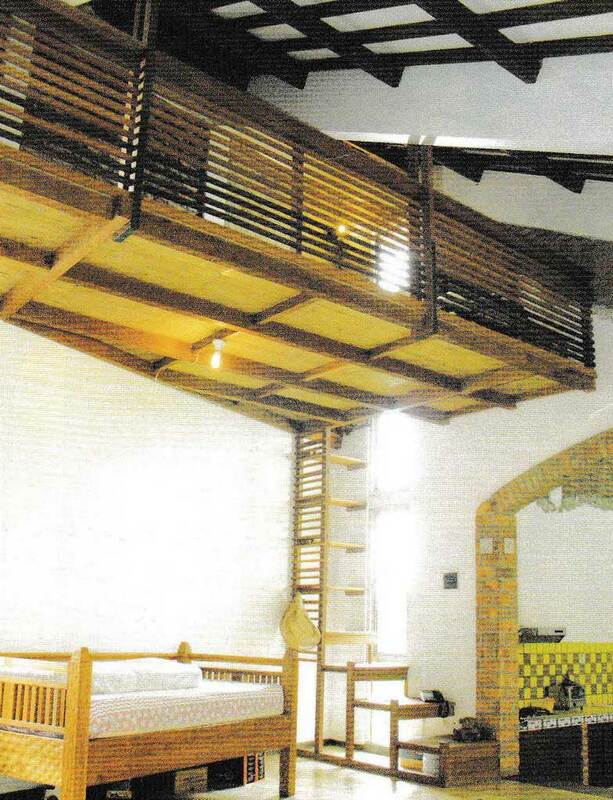 The maximum span should be adjusted to the length of wood available on the market, which is 4 meters. To get an economical construction must be adjusted to the building area and the load supported by the building. For example, for non-story buildings with an area of at least 45 m², the use of concrete construction will be more economical compared to two other types of construction. In addition, the availability of materials near you can affect the construction costs as well. The stone foundation consists of stones arranged and put together with mortar and sand. This foundation is the most widely used because it is easy to do and the manufacturing costs are relatively cheap. For a one-story house and a two-story house can use this type of foundation, with the original soil conditions, namely the condition of the land that is not a land leveling/landfill. 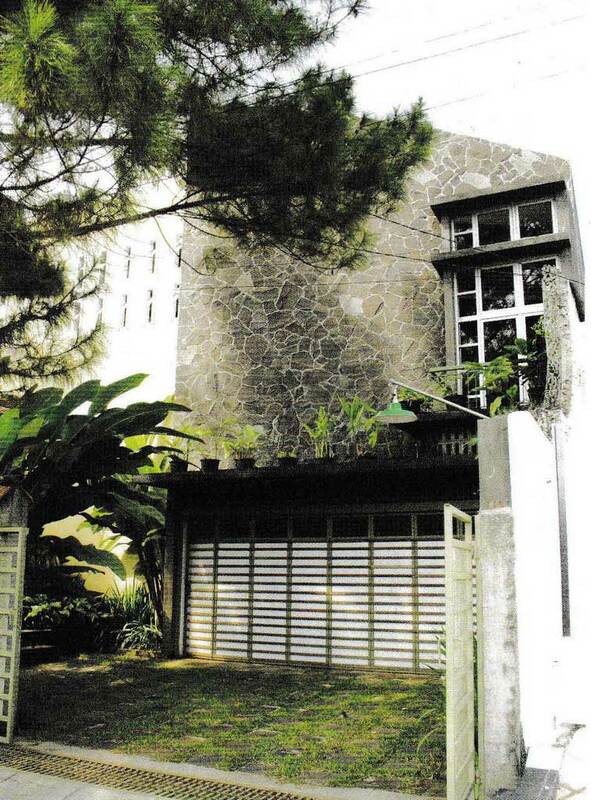 The shape is a square with reinforced concrete as the main material. Can be applied for flat or multi-story buildings up to three floors buildings. With careful calculations, the cost of manufacture could be cheaper, commonly used with the condition of the original soil and the rather soft soil. (price ± $375,30 / m³). The shape is similar to the footing foundation, it’s just made elongated according to the layout/plan of the building. Usually used in buildings up to 3 floors with the original soil condition to soft soil condition. For soft soil, for buildings with medium height level, and buildings on sloping terrain are suitable to use this type of foundation, the shape is like a pole then with special tools put in the ground, the number of poles is adjusted to the load supported. The shape is similar to the footing foundation with a size of 60 x 60 cm, made of reinforced concrete with a thickness of 20 cm, combined with a sloof measuring 15 x 25 cm. The location of the foundation is not in every column, but every 3 m span. 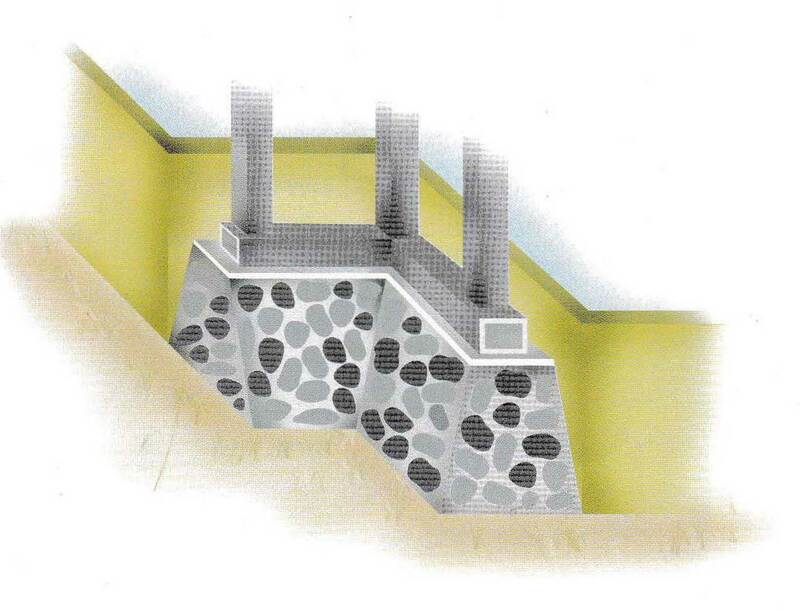 With this system, the volume of excavation and reinforced concrete can be reduced. If stone material is easier and cheaper, the foundation can be made of stone with the same size. 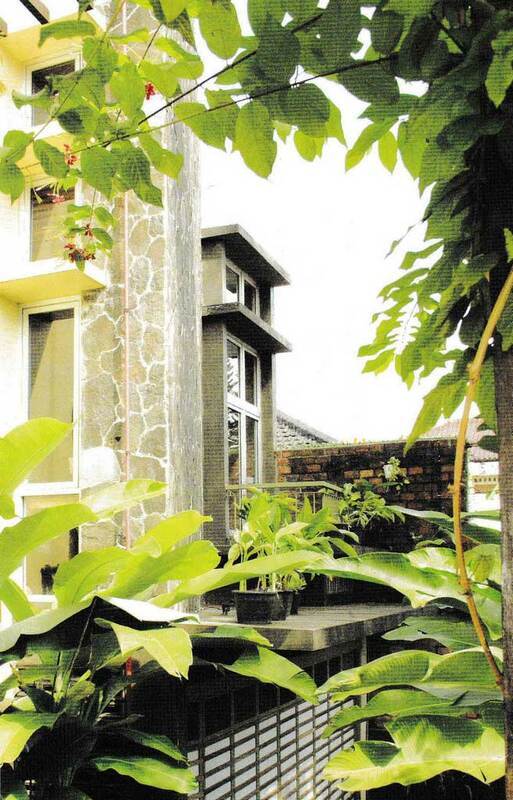 Suitable applied for one-story homes with the original soil or hard condition and not too deep. If you encounter large spans such as in a garage or void, the use of IWF 200 x 100 iron beams, will be more economical than concrete blocks. 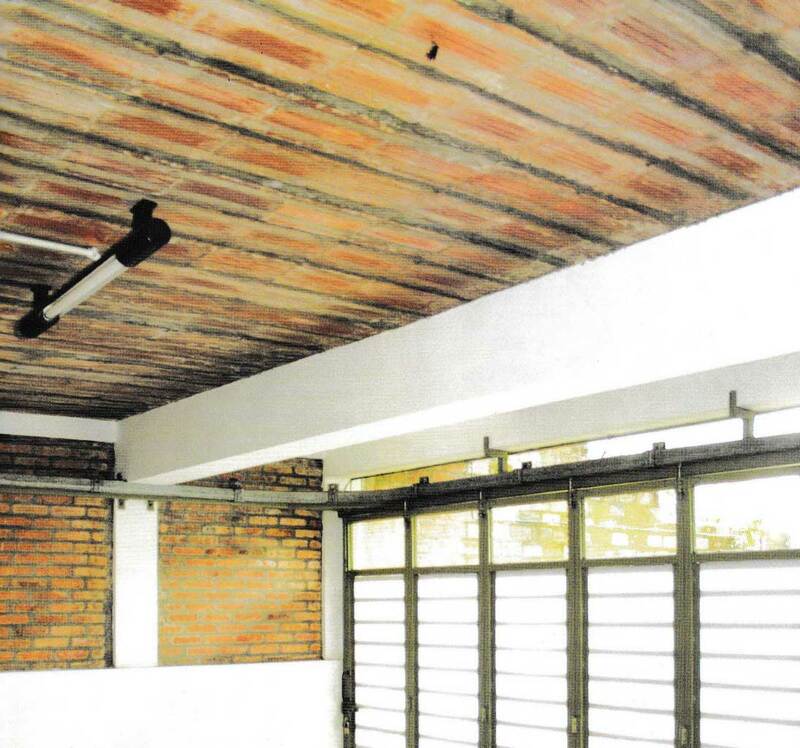 Beams on building structures function as load spreaders on top of it and as a rigid building structure. 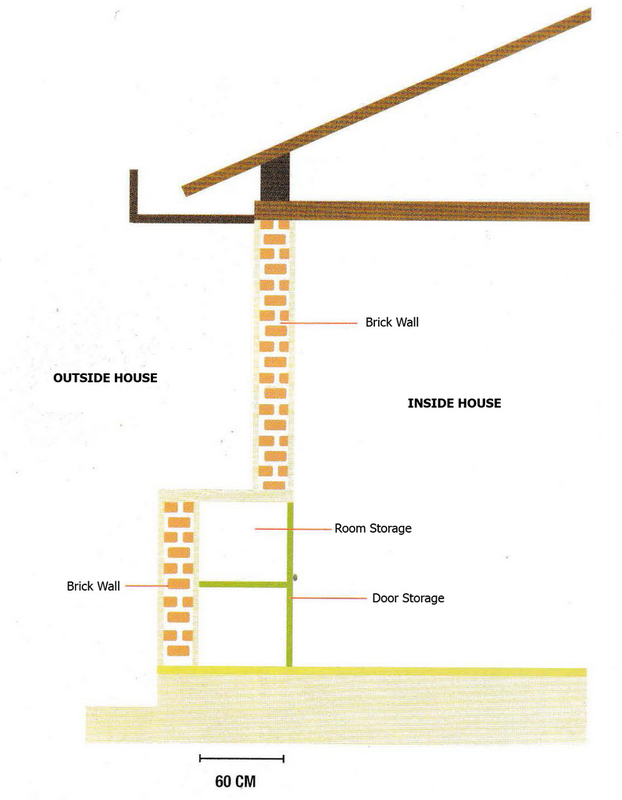 If it is located at the bottom near the foundation, it is called Sloof, and if at the top near the roof it is called Ring Balk, whereas if it is in the middle of the structure it is usually in a multi-story structure called beam structure (beam and joist). 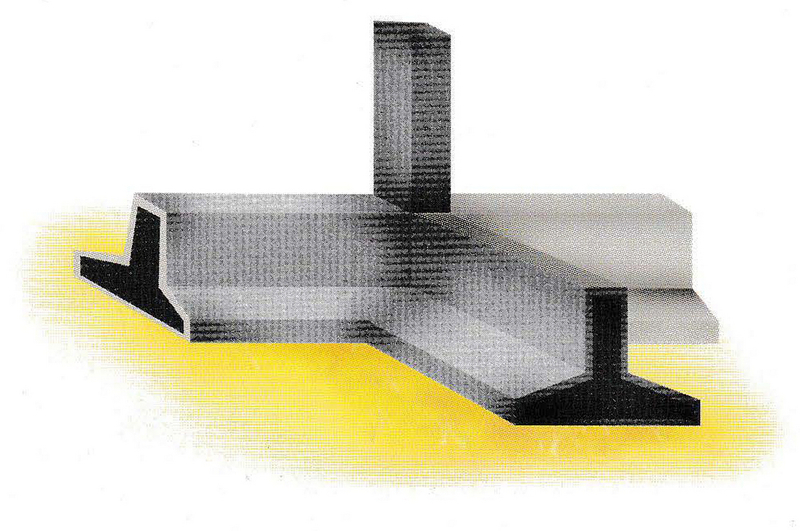 The right concrete beam, its dimensions are in accordance with the load supported. Try the beam to be located between 2 columns with a maximum span of 3 m, if more than the span, the diameter of the steel bar and the number of steel bar to be used becomes bigger and more numerous. Consequently, the costs will be more expensive. 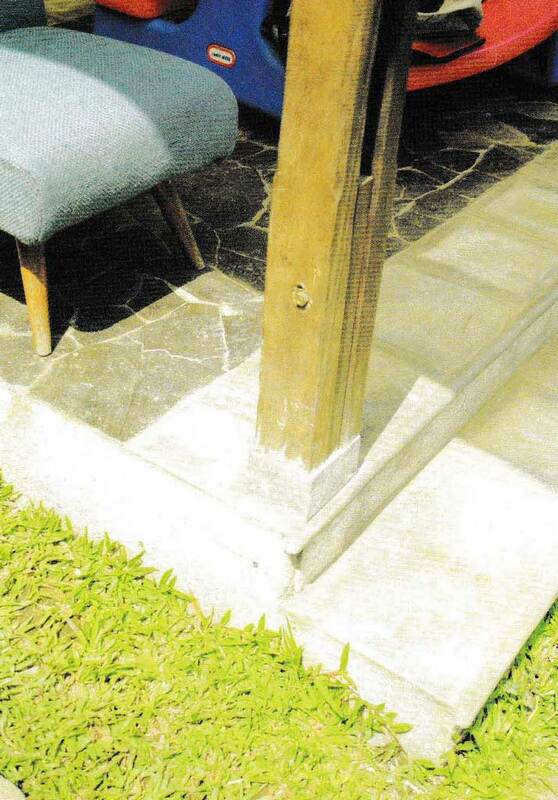 To determine an economical concrete beam height is 1/12 from the distance between columns. If the beam span (distance between columns) 3 m means 300 cm / 12 = 25 cm, while the width of the beam is usually 1/2 of the height of the concrete beam. 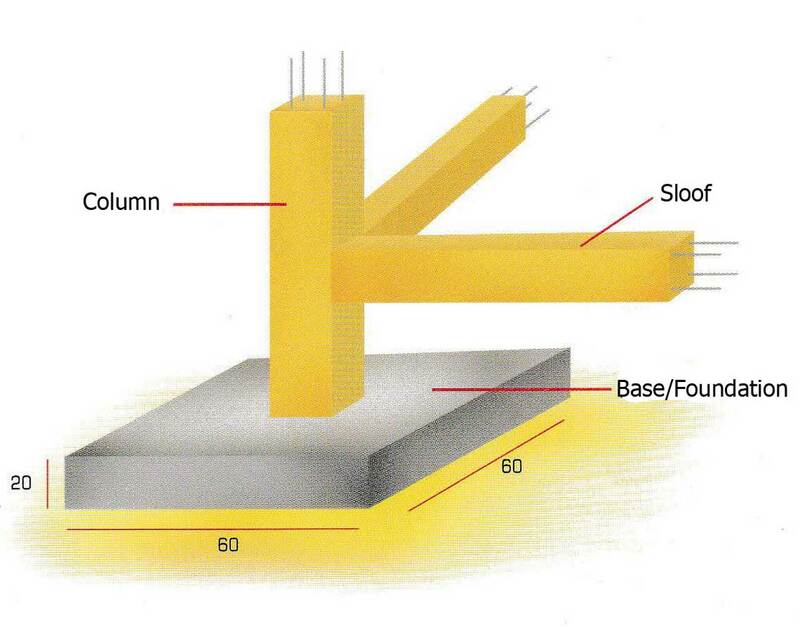 Apart from being a rigid structure, the column also distributes the load from the beam to the foundation. 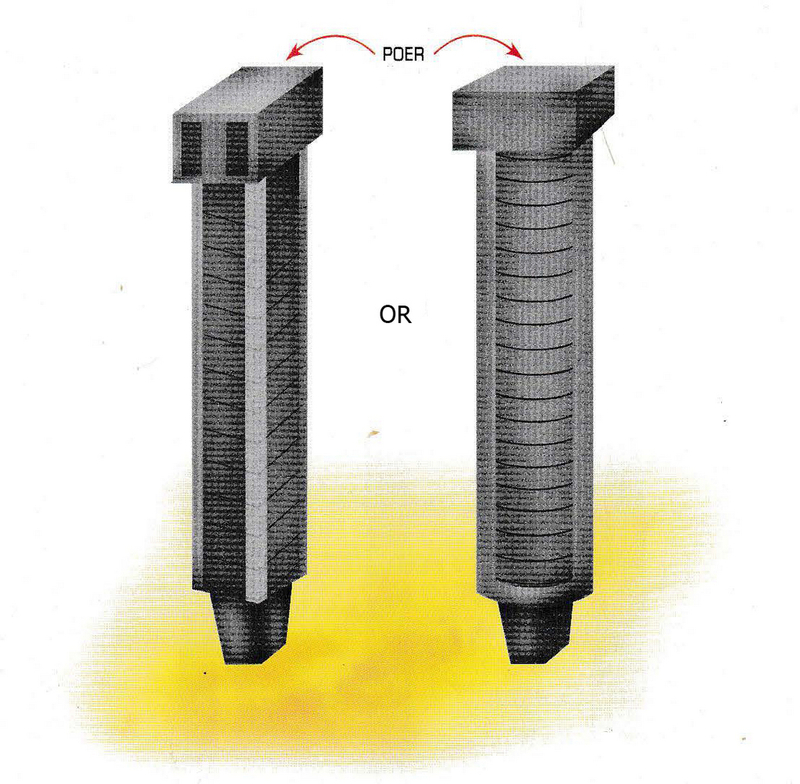 Economical columns are obtained from determining dimensions precisely and adjusted to the distance between columns and the amount of load supported. 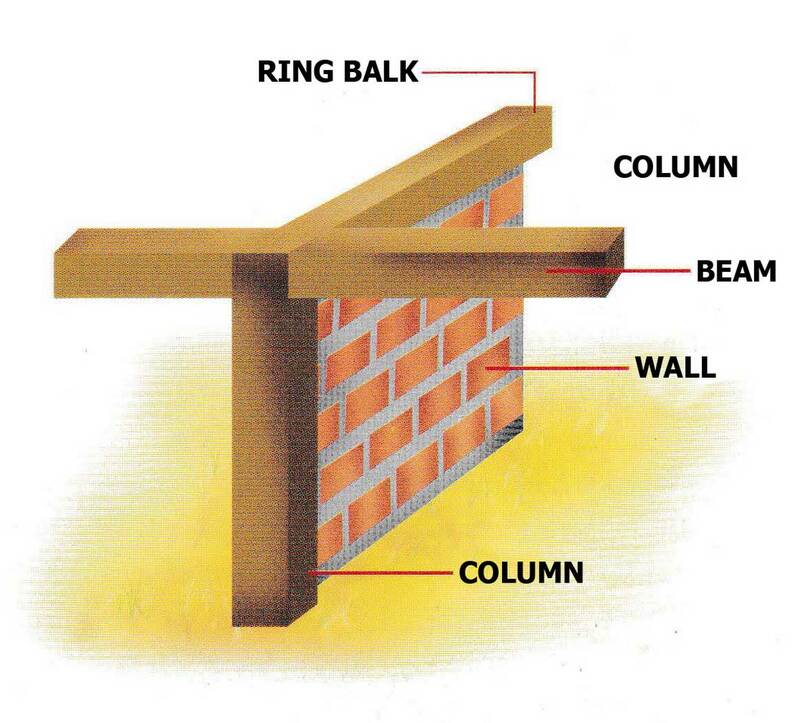 Column dimensions for residential houses are generally 10 cm x 12 cm (minimum), this 10 cm wide size is taken to fit the brick width, so that the brick can function as formwork. In addition, the surface of the plastering between the brick wall and the column will be flat. To save the volume of concrete in a 2-story building, the large column on the top floor can be smaller than on the lower floor. The wall functions as a separator between rooms. Can be a space divider in the house, can also be a barrier between the inside and outside the house. For exposed outdoor walls, choose the type of wall that is resistant to weather or wet and dry conditions. The wall should not function as load support, because it will cause cracks. Made from clay, formed then burned at high temperatures. Commonly used because it has resistance and strength to weather, but the price per m² is the most expensive compared to other walls. Made from a mixture of cement and sand and then pressed with a machine. Cheaper prices, protection is needed in the form of a layer of plaster to make it more resistant to weather. Special treatment is needed, such as the addition of harmonica wire, a mixture of cement and sand which is appropriate for plastering, because small cracks often occur due to the potential for shrinkage is still large. A mixture of sand and lime then press with the machine. The cheapest manufacturing costs, less good if applied to the outside walls of the house because it is easier to fall out than the two types above. To avoid this, the wall must be protected by stucco and not used to accept beam loads. To prevent cracks in the concrete bricks wall, choose the ones that are completely dry so that shrinkage can be minimized. For walls that are directly exposed to the weather, use white sand for wall plaster material and use special outdoor paint. This will reduce small cracks, although at the beginning we have to pay more. 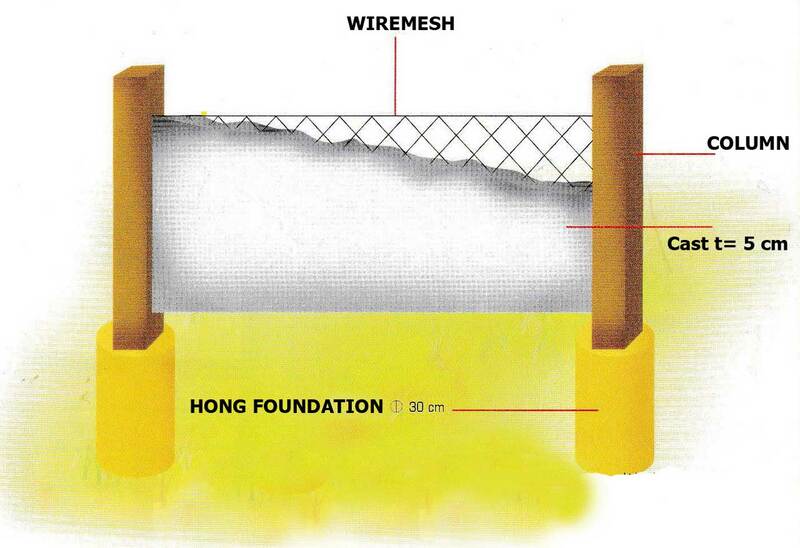 The fence wall in the yard can use a 5 cm thick cast wall, utilizing the remaining sand sieve materials, with harmonica wire as a shrinkage reinforcement from the wall. For the formwork, use a 9 mm multiplex coated with oil first, so that it can be used repeatedly. If it’s finished, multiplex can be used as raw material for cabinets or Kitchen Set. For walls directly exposed to the weather, you should use a red brick wall. 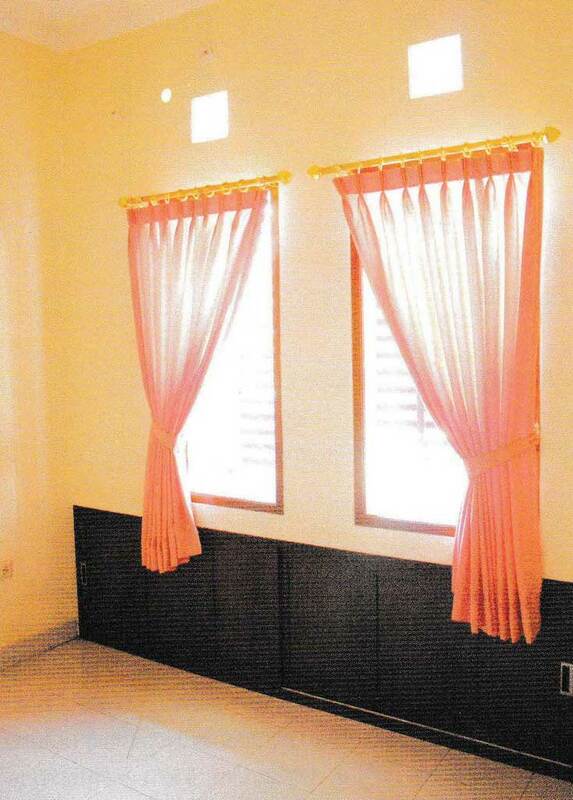 While the dividing wall and inner wall, you can use Gypsum wall hollow frames or ash brick walls. Gypsum does not need to be painted. Installation fee for hollow gypsum: $13,45 – $15,58 / m². So, if you would like acquire all of these incredible photos regarding Building Structure And Design For Economical House Project That You Should Know, press save link to download these images for your computer. They are ready for transfer, if you love and want to grab it, just click save logo on the article, and it’ll be directly saved in your laptop. Thanks for visiting our site, content above Building Structure And Design For Economical House Project That You Should Know published. Lots of people searching for information about Building Structure And Design and of course one of these is you, is not it?